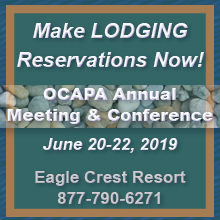 OCAPA works with legislative and regulatory agencies at the local, state, and federal level to ensure the interests of it's members are represented, and laws are enacted and applied fairly. Addressing legislative actions that impact the concrete and aggregate industry is a primary focus for OCAPA. Regulatory and governmental areas are closely monitored and followed up with. We encourage you to develop a relationship with your political leaders. With your help and insight, they can better understand our industry's needs. OCAPA knows from experience that personal contact from our members, business owners and employers is crucial to our industry and an important way of lobbying. 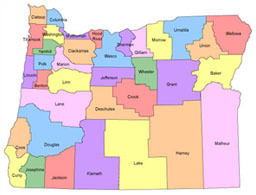 Senator Frank Morse said that "If you have a serious problem, don’t hesitate to call your legislators, either at their capitol office, cell phone, or even at their homes. Remember, politics and good policy is all about relationships." Our members represent the industry. Provide positive examples to support the recognition of superior performance and professional competence of aggregate and concrete producers, support organizations, government employees and politicians, and other people involved in the industry. Goodwill is important to preserving the future of our industry. OCAPA will continue to proactively address issues within the industry as they happen. We monitor and post updates about concerns and interests that could affect our members. Feel free to contact us anytime with information or questions.